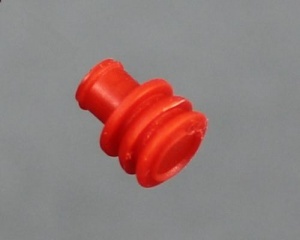 Superseal cavity plugs are made from ribbed silicone rubber and are used to blank off and seal unused connections/ways in Superseal 1.5 Series connector housings. These are the same as the cable seals but without the cable entry hole. The correct part to complete the job properly; essential to keep water out of the connector if you are only using some of the ways.